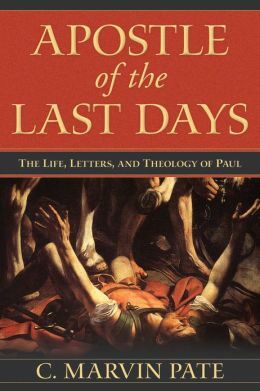 In Apostle of the Last Days, Marvin Pate surveys the letters, life and theology of Paul the apostle, with eschatology as the guiding centre of his worldview. After a chapter on Paul’s conversion/call and role as apocalyptic seer, Pate progressively works through the Pauline epistles one by one, surveying their contents and focusing on eschatological texts. What makes Apostle of the Last Days stand out from other books on Pauline theology? There are a number of factors. First, Pate is an evangelical, but one who is unafraid of reaching unconventional conclusions. Second, he accepts the historicity of Acts and uses it as a valuable resource in his study of Paul. Third, he accepts Pauline authorship of all thirteen letters attributed to his name. Fourth, the book contains unique proposals, such as a covenant treaty structure informing Romans. Apostle of the Last Days is filled with admirably lucid and concise summaries of complicated issues, such as summarizing interpretations of a difficult passage and surveying the history of scholarship on any given topic. This material is beneficial and very easy to grasp. Littered throughout are numerous useful tables, such as the one listing each reference to “kingdom of God” in Paul and whether it refers to a present or future reality. Most importantly, Pate makes a compelling case for eschatology being central to Paul’s theology. This has two aspects to it. First, Pate shows that Paul’s own teaching is colored by eschatology. For example, Pate deftly establishes that Paul’s teaching on the Law and Jew/Gentile relations in Galatians and Romans is fundamentally eschatological. Second, this eschatology runs head-to-head with other competing eschatological ideologies of the day. A substantial amount of content is drawn from other first century texts to display this. Here is where Apostle of the Last Days really shines. Pate displays a mastery of ancient historical and cultural background and where it is relevant to our interpretation of Paul. It is simply fascinating to read this contemporary material and consider how Paul’s own teaching would collide. However, it is in this very area where some will fairly suspect Pate is in danger of over-reading secondary sources into the Bible. Pate appears to throw caution into the wind and engages in a breathtaking amount of mirror reading. It seems that virtually everything Paul said is in response to a view of his opponents, but this requires reading a lot into his words. This would not be problematic if Pate simply shows how Paul’s teaching conflicts with other eschatologies of the day, but he goes further to argue that Paul’s words are carefully chosen to consciously attack these other views. One example of mirror reading going askew (in this reader’s opinion) is found in Romans. Pate admits “we don’t know if [Judaizers] had arrived in Rome yet” (p169) but yet in the next paragraph he states that “Paul’s letter to the Roman Christians is a sustained attempt to refute the Judaizers” (p169) and “we can surmise from Romans their five point message”, which is drawn from references throughout Romans. Some will also be troubled by Pate’s negativity towards the Old Testament, particularly the Torah. For example, the Torah doesn’t “function as a positive guide for Christians” (p270). Paul sides with the Old Testament prophets, who disparaged the Torah (p292). The Mosaic covenant is presented at such ods with the Abrahamic covenant that the former teaches “the individual is saved by the works of the Torah” (p292). What’s more, after referring to New Covenant (Ezek 36:24-32 and Jer 31:31-34), Pate says that Paul “[b]y way of contrast” teaches that salvation is “by faith in Christ alone” (p42). Lastly, Paul “tweaks – actually changes – the Old Testament Story of Israel” (p162). Statements such as these are not expanded upon, so they may not be as worrisome as they appear. However, similar statements appeared in his Romans commentary. There are also editorial quibbles: the most significant being the unmistakably absent bibliography, topical index, and Scriptural and ancient sources index. Considering that Apostle of the Last Days is an introduction to Paul’s theology and that Pate cites numerous Second-temple Judaism texts, these omissions are unfortunate indeed. There is also some embarrassing hurried and/or odd editing work (much like the other Kregel book I recently reviewed, Jesus the Messiah). Notable examples include some obvious typos (e.g. a missing word in p56); a large table placed in a footnote (p72); an entire paragraph repeated (p27, p37); paragraph headings missing on p48; an inexplicably indented section of text (p174-176); and an entire eight-paragraph section repeated (p31-34). A charitable reader will overlook the expected typo or two, but I found these issues to detract from the book itself. Perhaps others will be less bothered. Apostle of the Last Days is a valuable contribution to Pauline theology, though a little idiosyncratic at times. This book shines when it displays just how drenched Paul was in eschatological waters; however in doing so I believe Pate goes too far at times. Apostle of the Last Days would be of most assistance as an eschatological guide in preparation for studying or teaching through one of Paul’s letters. Many thanks to Alban books for providing a review copy. Their generosity did not affect my review.